Best of Jade classics : music of Australian composers. River songs / music by Betty Beath ; words by Jena Woodhouse. 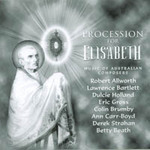 Procession for Elisabeth : music of Australian composers. 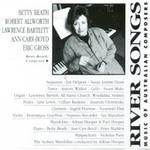 River songs : a cycle for soprano voice and piano / Betty Beath ; words by Jena Woodhouse. River Songs is a cycle of seven songs, a setting of a poem sequence, 'The River' by Queensland poet, Jena Woodhouse. I felt drawn to the texts since I know Jena's river well, we live on opposite banks of the Brisbane River and the images and experiences she draws upon are almost mirror images of my own. In River Songs the river is a physical presence, deriving its identity from water, currents, tides, light, mangroves, birds, ferries and people. It carries connotations too, of life itself...the miraculous continuity of time and generations. Although events and moments of an individual life may appear distinct from other lives, that life ultimately becomes part of an onward flow. The river becomes an image of both change and continuity, and of time which can embody past, present, and future in a single moment. The cycle was written for the Queensland soprano, Janet Delpratt whose influence, as my own voice teacher, continues to inspire much of my vocal composition. I was particularly pleased when eminent Australian conductor and composer Dr. Richard Mills invited me to make an orchestral arrangement of the already existing cycle scored for voice and piano. His interest and encouragement at that time is something I shall always value. Contents note: 1. River-mother, river-child -- 2. Boy and the river -- 3. River nocturne -- 4. House by the river -- 5. Tree of two souls -- 6. Swift tide -- 7. River voices before dawn (Coda). Commission note: Commissioned for performance in a Meet the Composer concert. Setting of a poem sequence, 'The River', by Queensland poet, Jena Woodhouse. 18 Mar 2018: at River Songs - Hourglass Ensemble - contemporary Australian chamber music (Cathedral of St Stephen, Brisbane). Featuring Hourglass Ensemble. 10 Mar 2018: at River Songs - Hourglass Ensemble - contemporary Australian chamber music (Sydney Opera House, Utzon Room). Featuring Hourglass Ensemble. 28 Jul 2013: at Australian Song at Kincoppal (Performing Arts Centre, Kincoppal - Rose Bay). 27 Nov 92: ABC Studios, Ferry Road, Brisbane. Featuring Richard Mills, Janet Delpratt, Queensland Symphony Orchestra. 27 Nov 92: Ferry Road Studios, ABC, Brisbane. Featuring Queensland Symphony Orchestra, Richard Mills, Janet Delpratt. Sep 91: Basil Jones Theatre, Queensland Conservatorium of Music during Performance Week, September 9-13. 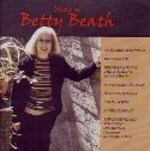 Featuring Betty Beath, Janet Delpratt.